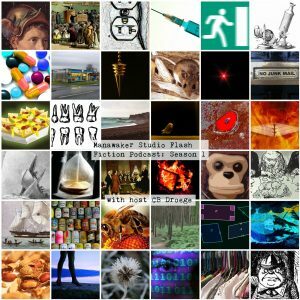 Submissions are open for Manawaker Studio’s Flash Fiction Podcast. We are currently reading for Season 4, which will run from Feb to Nov 2019, and include approximately 45 stories. There is no requirement of submitted stories other than length. The ideal length is around 800 words, but stories as short as 250 or as long as 1500 may be considered. All genres will be considered, but the story must remain accessible to all ages, which mostly means no erotica or gore-horror. The editor has a particular love for sci-fi stories, so those may get slightly stronger consideration. We also prefer stories that have a plot. Vignettes are great, and necessarily make up a large part of what we accept at this length requirement, but having a proper beginning, middle, and end will score extra points. We tend to get a lot of stories which are essentially transcripts of a lover’s tiff or other plotless, settingless conversation between two people (often containing witty banter) and while these types of flash can be done well, they are a really hard sell for this podcast. Currently, we are particularly low on sci-fi stories, so if you are trying to decide which flash to send, send the one with robots and spaceships. We’re also almost always low on light-hearted stories. Note that we are not necessarily looking for humor (in fact, a story which is mostly a set-up for a punchline is a hard sell) but we get a lot of submissions which leave the listener feeling sad or angry, which is fine and necessary, but it’s nice to get triumph or joy mixed in there once in a while. All submissions should be sent to submissions@manawaker.com with ‘FFP Submission’ and your last name in the subject line. Include a brief cover letter, a description of the pronunciation of your name, and third-person bio (65 words max) (for the contributors page on the website – If you send me a first-person bio, I’ll convert it to third with neutral pronouns) in the body of the e-mail. If you’d like a URL for an online portfolio or blog included, give that as well. Note: all submissions received before 9 Jan 2019 have been read and responded to. If you sent something in before that, and have not heard back, then something went wrong. Please query (use the subject line: FFP Query – do not reply to your own submission for queries), so that we can figure out what happened to your submission.